Meet Dually. 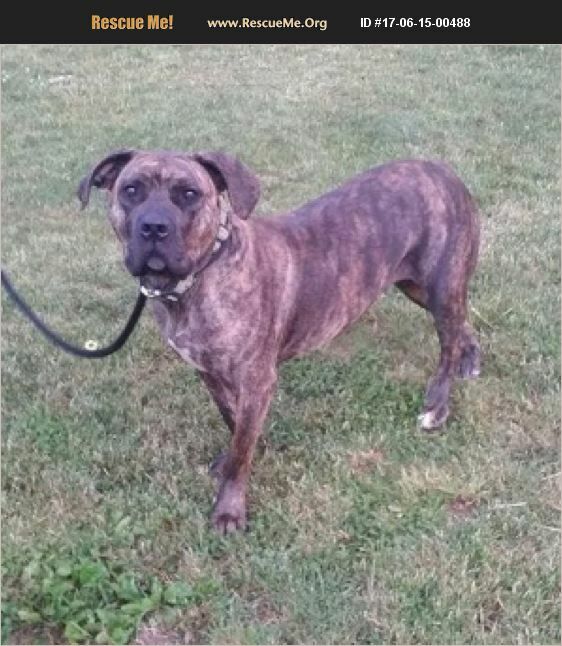 Dually is a Presa Canario mix around 4 years old. Dually needs a stable, secure home with a confident breed experienced owner. She is a homebody and would perfectly happy if she never had to leave home. She does enjoy training and learning commands. Dually lacks confidence and is fearful of everything new or any changes. Routine is a must for this girl. Allow her the space she needs and build that bond with her and she is the most loyal dog. Respect, discipline, routine, structure, space and common sense is required when introducing a dog like Dually into the home. Dually is a breed of a dog that is not for the weak minded, lazy or non committed individual. She needs a strong owner both mentally and physically. Dually is currently at the sanctuary with Cindy and her children. Cindy trusts Dually 100% with her kids, however her children have grown up around dogs and know how to behave and respect dogs like Dually. Dually could do well with other dogs if properly introduced and she gains their trust and she trusts them. She is currently 1 of 9 in her group who coexist without any issues. Interested in this dog/cat? Please complete an adoption form from our website www.animalhousesanctuary.org and email to AHSAdopt@gmail.com. If you have any questions you can e-mail us at animalhousesanctuary@yahoo.com. Adoption fee: Name Your Price Last updated 10/26/18 If the dog/cat is still posted as adoptable it means they are still available and no adoptions have been finalized. If you are interested in adopting this dog/cat please complete an application. Thank you. We do not have open visiting hours and go by appointment only after we have an approved application. Thank you.